The University of Maine at Presque Isle, in partnership with Cary Medical Center and the Siruno Stroke Education Center, will present Dr. Joel Fuhrman—the best-selling author and internationally recognized expert on nutrition and natural healing—as the next speaker in its 2014-2015 Distinguished Lecturer Series. Dr. Fuhrman will deliver his talk on Preventing and Reversing Disease through Nutritional and Natural Methods on Thursday, Nov. 6, at 7 p.m. in the Campus Center. His talk is free and the public is invited to be a part of this special evening. 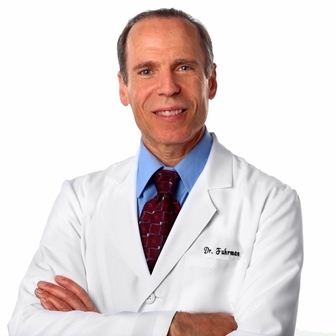 Dr. Joel Fuhrman is a board certified family physician, New York Times best-selling author, and nutritional researcher focused on preventing and reversing disease through nutritional and natural methods. His book, Eat to Live, has sold more than one million copies and has been translated in multiple languages. He has written six books and three have been on the New York Times Best Seller list. As a medical expert on nutritional therapy and natural healing, Dr. Fuhrman has appeared on hundreds of radio and television networks and shows including: ABC, CBS, NBC, FOX, CNN, Today, Good Morning America, the Discovery Channel, TV Food Network, and The Dr. Oz Show. Dr. Fuhrman’s PBS television show, 3 Steps to Incredible Health, began airing nationwide in June 2011 and became the top fundraising show for PBS in 2011. In 2012, his PBS television show Dr. Fuhrman’s Immunity Solutionbegan airing. These shows make applying modern nutritional science understandable and doable. Dr. Fuhrman is presently involved in ongoing scientific studies in human nutrition, and serves as the research director of the Nutritional Research Foundation. His discoveries on food addiction and human hunger—entitled The Changing Perception of Hunger on a High Nutrient Density Diet—were published in the scientific journal Nutrition Journal in November 2011. He is also a member of the Whole Foods Market scientific advisory board. Dr. Fuhrman is a graduate of the University of Pennsylvania School of Medicine (1988). As a former world class figure skater, he placed second in the United States National Pairs Championships in 1973, and third in the World Professional Pair Championships in 1976. Dr. Fuhrman has been involved professionally with sports medical committees, advised professional and Olympic athletes, and lectures to athletic trainers and world-class athletes for maximizing performance and preventing injury. All are invited to attend Dr. Fuhrman’s Nov. 6 distinguished lecture. For more information about this event, contact the University’s Community and Media Relations Office at 207-768-9452.